Starting in 2002 with the release of Dodonpachi Daioujou, CAVE partnered with AMI for distribution, and created a new box for shipping their arcade games. 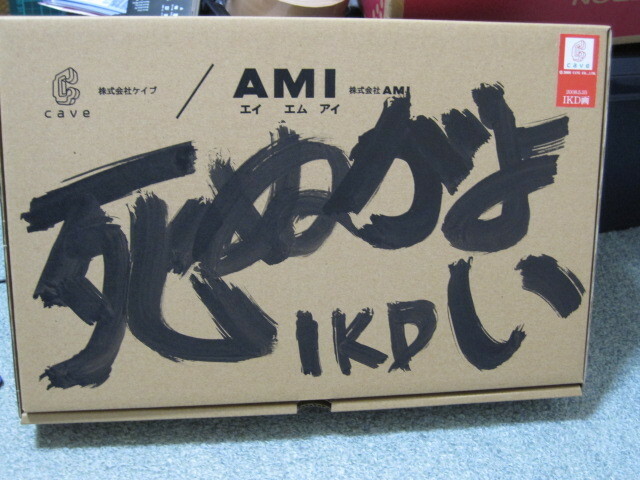 This first version of the CAVE/AMI box (which we will call the CAVE/AMI ver 1 box) was used for Dodonpachi Daioujou, Ketsui, Dodonpachi Daioujou Black Label, Espgaluda, Mushihimesama, and Ibara. It is estimated that somewhere between 5000-7000 of these boxes were made and many are still in circulation, so it is a common box that is not hard to find today. 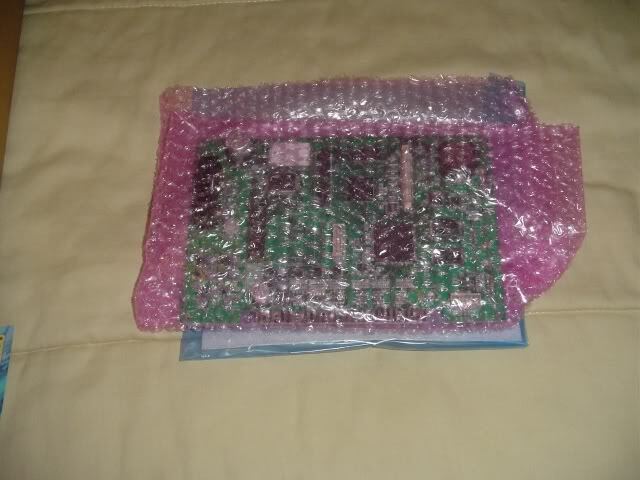 The PCB wrapping material was a clear antistatic bag (with black lines), white bubblewrap and foam PCB backing sheet until Mushihimesama, when the bubblewrap changed to a red bag with large bubbles. This bag was only used for Mushihimesama and Ibara. In the autumn of 2005, CAVE and AMI switched to a new box for the release of their puzzle game Mushihimetama. 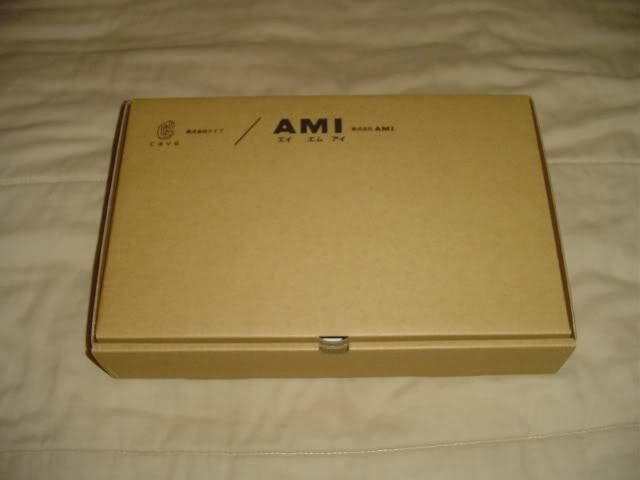 This box has a different logo placement (note the text next to the CAVE logo has been moved up and is more in line with the middle of the logo, rather than at the bottom), different font spacing for "AMI", text added after "AMI", and slightly different cardboard coloration/thickness. 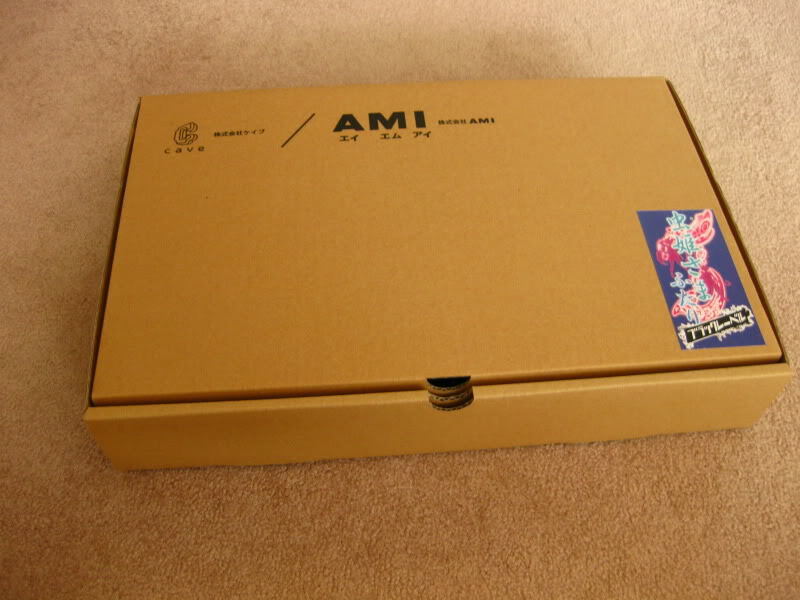 We can refer to this as the CAVE/AMI ver 2 box. Also at this time the bubblewrap and antistatic bag changed to a pink bubble baggie and blue antistatic baggie (the foam backing sheet was unchanged). 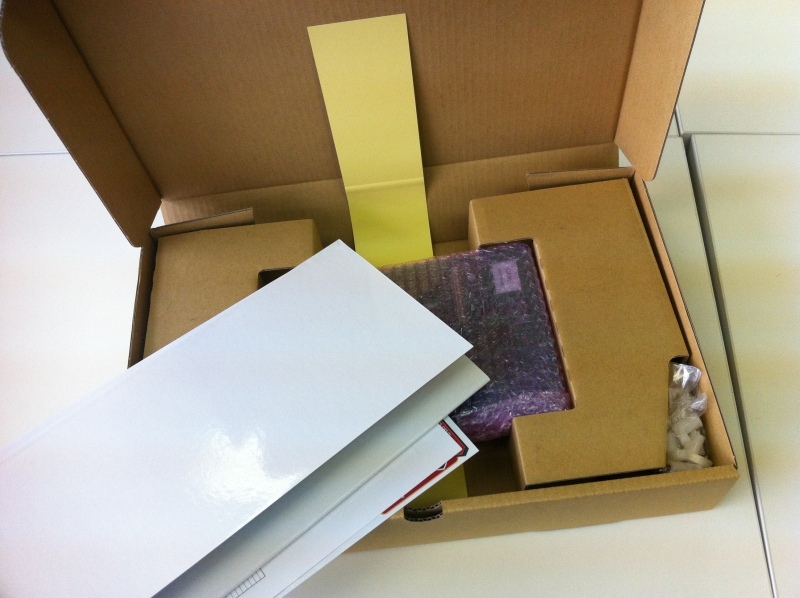 These packing materials remained unchanged throughout all of CAVE's subsequent arcade releases on the CV1000 (SH3) hardware. 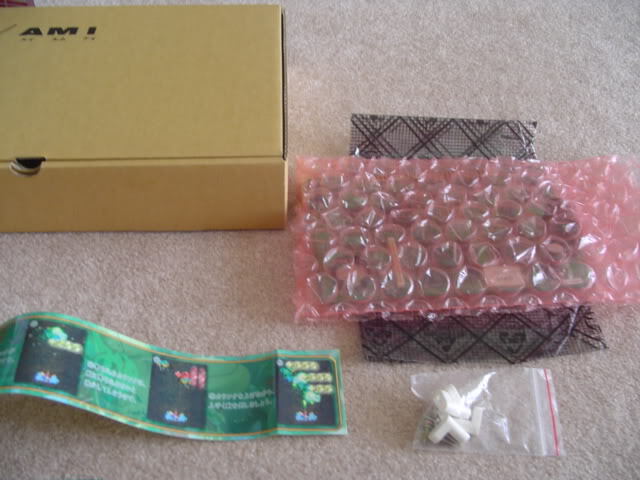 A small number of Mushihimesama and Ibara kits were made in late 2005/early 2006 that came with these new boxes and packing materials. The Mushihimesama PCBs were converted from unsold Mushihimetama PCBs and have M- serial numbers (all of these PCBs are the two dot bug-fixed version). The Ibara kits were made at the time of Ibara Kuro and have IB- serial numbers. Here is the full list of games that used this box: Mushihimetama, Mushihimesama (late print), Ibara (late print), Ibara Kuro (with/without sticker), Espgaluda 2, Pink Sweets, Mushihimesama Futari, Muchi Muchi Pork, Deathsmiles, Dodonpachi Daifukkatsu, and Deathsmiles Mega Black Label. It is estimated that 7000-8000 of these boxes were made, making it the most common CAVE box out there. Ibara Kuro was released in February 2006 and it was the first box to have a special sticker attached on the bottom right. 100 of these were made. The next box to have a special sticker was Mushihimesama Futari Black Label (150 were made). The final box that had a special sticker was a small batch of signed Dodonpachi Daifukkatsu boxes in May 2008 (boxes were signed by either Ikeda, Ichimura or Wakabayashi). Although a few reports of Deathsmiles Mega Black Label boxes with stickers attached have been confirmed, CAVE denies they made these so they were most likely made by a distributor or vendor as a promo item, and thus should not be considered a genuine CAVE item. 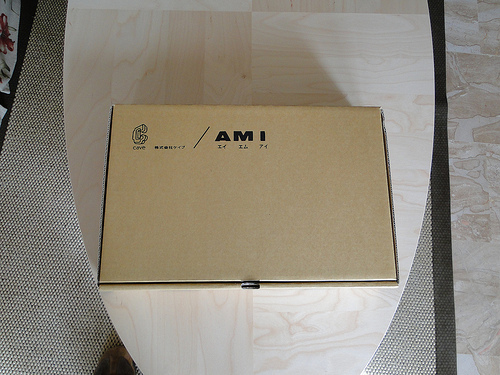 The CAVE/AMI ver 2 boxes ended in 2009, when CAVE's partnership with AMI was dissolved. 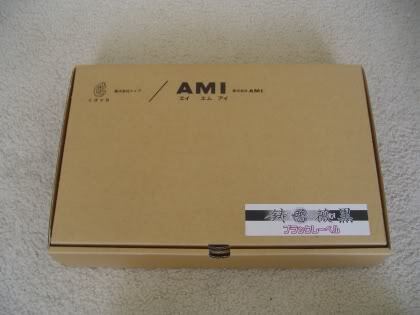 In January 2010 we see the introduction of a new CAVE box that is identical to the previous CAVE/AMI ver 2 box except the "AMI" part is missing. We can refer to this as the CAVE/ANNEX ver 1 box because ANNEX was their new distributor, even though "ANNEX" is not mentioned anywhere on the box. This box was used for Mushihimesama Futari Black Label "Another Ver", Dodonpachi Daifukkatsu Black Label, and Akai Katana. 700 of these boxes were made. The final CAVE box was introduced with the release of Dodonpachi Saidaioujou. This can be referred to as the CAVE/ANNEX ver 2 box. 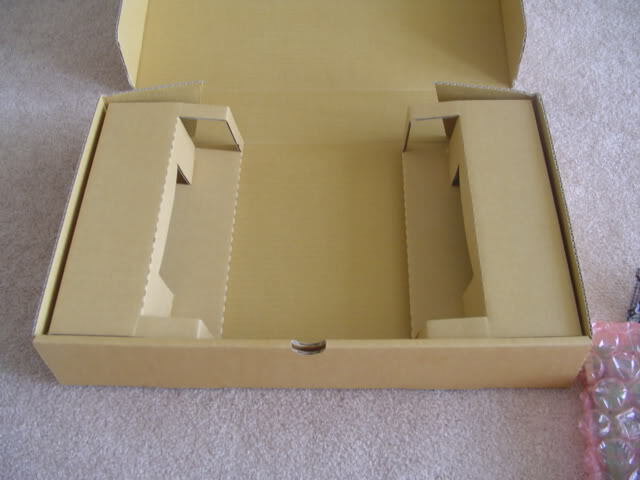 The difference between this box and the previous CAVE/ANNEX box is the inserts. They have a much smaller cut-out for holding the PCB, and they have a diagonal perforation on the edge of each insert. One of these perforations was pushed in at the factory, allowing for storage of the PCB feet in this part of the box (see pic below). 350 of these boxes were made, making it the rarest standard production (i.e. no sticker) CAVE box. I've always wondered if the inserts were designed for the DOJ case. As I recall it fits perfectly if you turn it upside down (or turn the inserts upside down). My memory of the signed DFK boxes is hazy, so maybe someone will correct me on this but I think they were available through Try. I have the figure 20 of each in the back of my mind for some reason but they may well have been signed to order as the Wakabayashi seems the most common as it's the prettiest. I still want the Ichimura one to complete the set but the last one went for just shy of 80k Yen. No mention of numbers or Ichimura. Thank you for finding this link, it is so nice that it has been preserved after all these years! BTW, although they do not mention or show Ichimura in the text or box photos on that page, in the background image the labels for all three boxes (Ikeda, Wakabayashi AND Ichimura) are shown. Well spotted. My memory of that page is a little different, I could've sworn all three were pictured originally. Perhaps they sold out of Ichimura first, who knows. Very nice write up for history - thank you.